All These Lives is a hard novel for me to review, because it deals with a subject I don't normally read about, but something that I encounter in my line of work: cancer. And it was unsettling for me, mainly because I usually avoid plots like this one. But, having said that, I must also say that I'm glad I decided to pick it up. From the summary I'd thought this book would focus more on the nine-lives thing Dani think she's got going on. It does at times, but it's mostly a story about Dani and how she's dealing or not dealing with her twin sister having leukemia. And I'm absolutely not saying it's a bad thing, but it required some adjusting on my account. I loved Dani. She's funny and sarcastic and a bit of a bully at times, but she's also honest with herself about the things she can and can't do. She can't bear to watch her sister be sick and sometimes she doesn't want to spend time with Jena because of this. She's scared of her sister dying and she loves her very much. She can be a bit brutal, but I liked it. I felt for her through all of it, her concern for her sister, the troubles she has at school and with her parents and the boy she meets who's more than he seems. I was glad that there's an undercurrent of 'might-be-love-interest', but that it wasn't by any means the focus of the story. At the beginning of the novel it feels like Dani is just acting out, trying to find a way to deal with her sister being sick, but the mindblowingly awful things she starts doing later on are actually part of her way of trying to 'help' Jena. She genuinely believes that every time she 'dies', Jena gets better. And it seems like it, but OMG, I just wanted to shake her and hug her and tell her to not hurt herself anymore! I thought the dynamics in the family itself were very realistic. I could see parents dealing with one of their kids being sick like this. Everyone has a different coping mechanism, and while the ones employed here aren't necessarily the best ones, I could see it happen. I never really felt much of anything for Dani's mother, except sadness, but I loved her father. He's trying to make the best of it and trying to create happy memories when all Dani's mother wants to do is control everything. I get her reaction, but it never felt more true than when Dani's father says something along the lines of that even though Jena's sick, she still deserves to go out sometime and have fun with her sister. It's something a lot of people forget. Also, I really liked Jack. The boy that isn't a real love interest at the moment, but might be in the future when Dani's life isn't upside down anymore. He's sweet and has dealt with his own share of worries for his family. I didn't think much of Dani's best friend Lauren, she seemed a bit weird and living in her own world and not very supportive. I would have liked there to have been a bit more about the bond between Jena and Dani, more scenes from their childhood together and what kind of person Jena was before she became sick. I feel like I don't know Jena very well after reading this book and I was still waiting on learning more about her when I turned the last page. 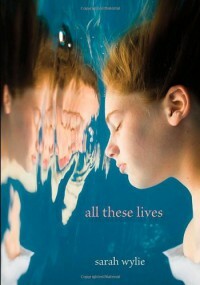 While this is a tough subject for me to read about, All These Lives is not a depressing book. It's mostly a sister and the rest of the family dealing with one of their own facing the reality of actually dying and it's heartbreaking, but there's also a sense of hope, they haven't give up. Despite my usual shying away from book dealing with things like this, I'm very glad I picked All These Lives up!